Adrian grew up near the Cornish village of Pendeen, a small village on the Penwith peninsula in Cornwall, England, which is where his affinity for the great outdoors had come to light. As a youngster, he spent much of his time hunting rabbits and camping with his friends at the ChyRose Farm near his home. 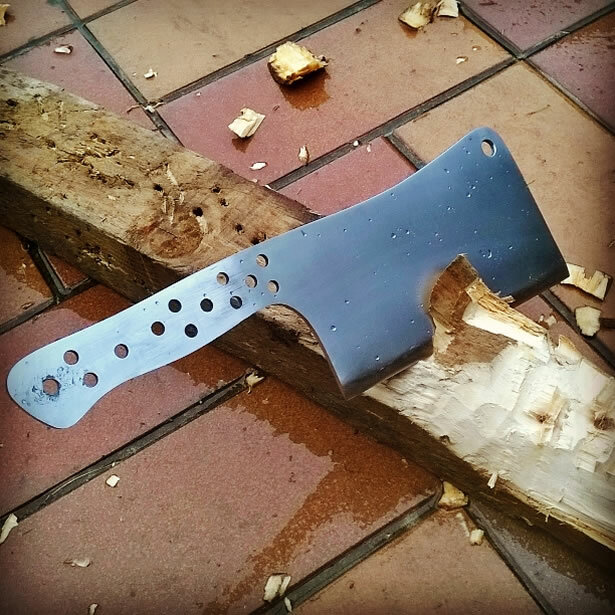 After commissioning his first knife, he purchased a piece of steel and a small grinder, and hasn’t stopped since. 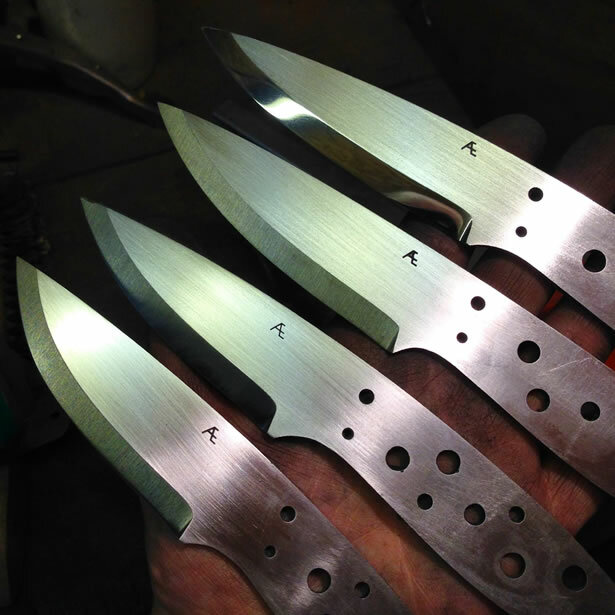 Adrian finally decided to start ChyRoseKnives in 2012, while continuing to hone his craft. 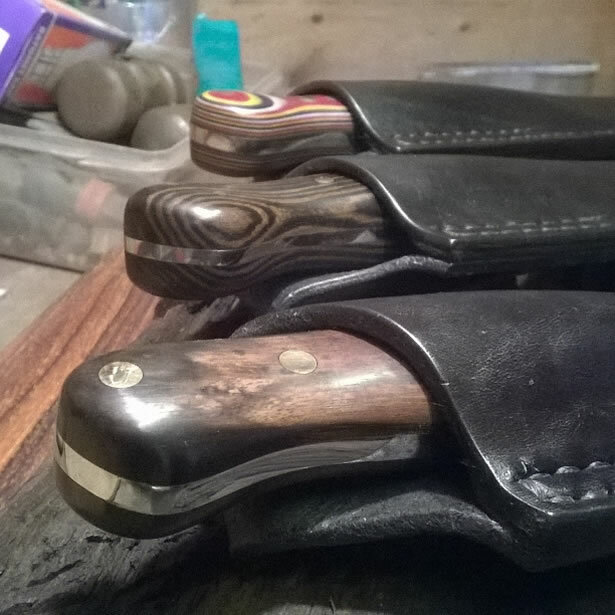 Then in 2015, after 19 years of working with adults with learning and behavioral problems, Adrian decided to devote all of his time to knifemaking. 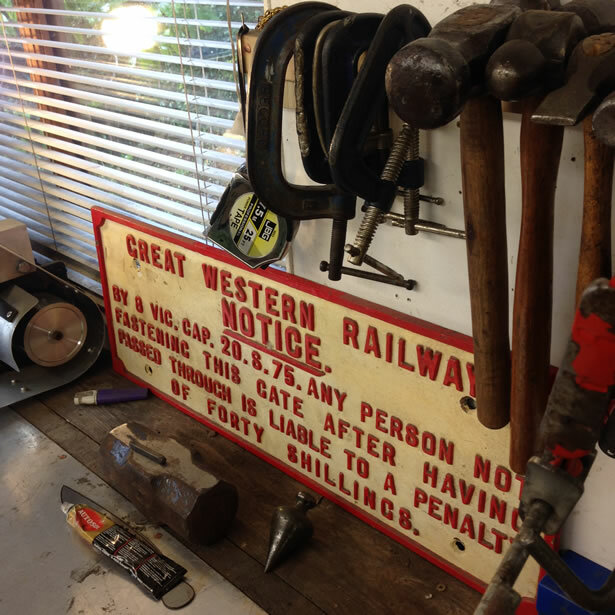 Recently, Adrian relocated 100 miles North-East to a small village near the town and civil parish of Okehampton in West Devon. It is situated along the northern-western edge of the Dartmoor National Park in Devon. 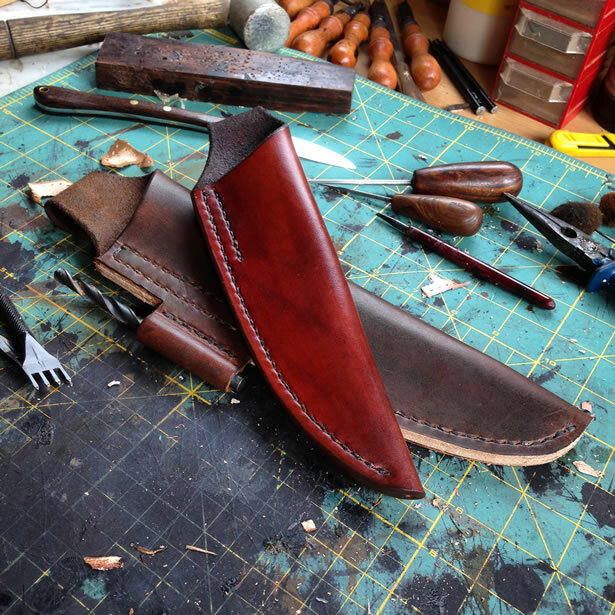 At the moment, knifemaking is just a hobby that he is passionate about. 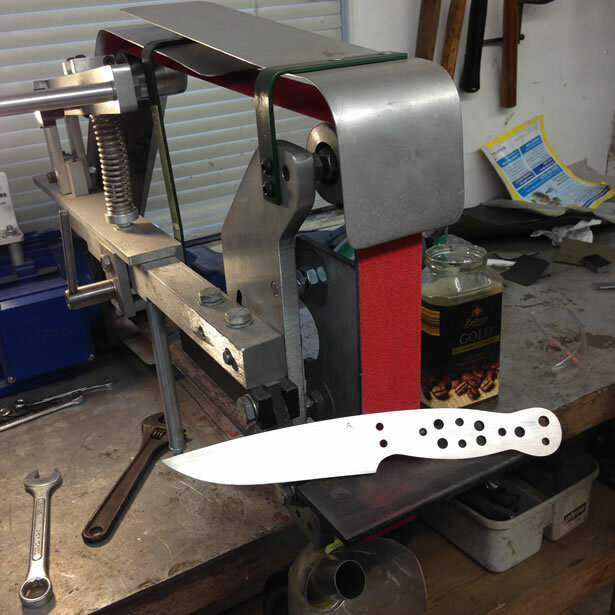 He only started selling his knives recently, allowing him to cover the cost of his materials as he works to improve his skills, and someday follow the dream of making a living at it. 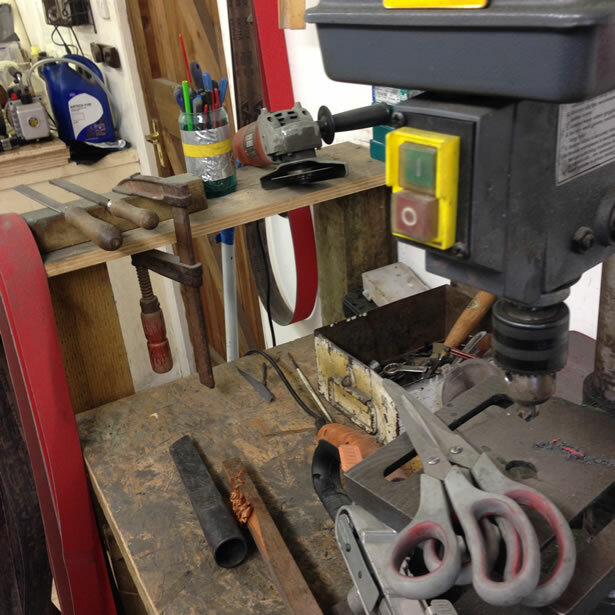 Currently, Adrian produces 1 to 2 handcrafted blades each week, paying close attention to detail with each knife. 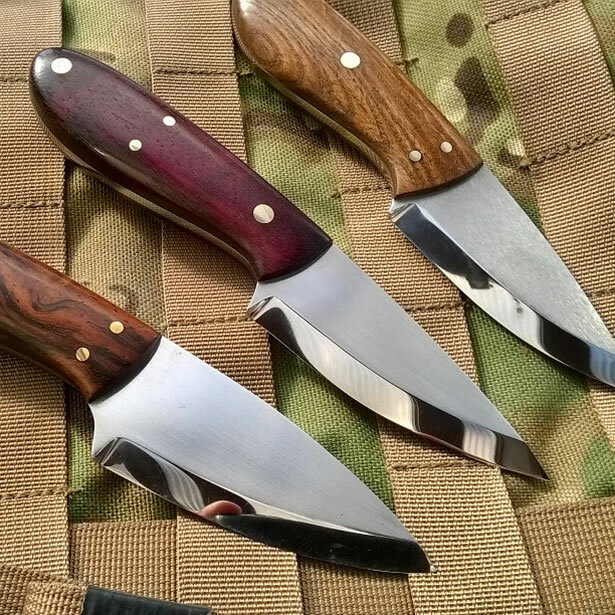 He has four Bushcraft knife models available to order, the ChyRose, Moorlander, Trevaylor and Mini Skinner. 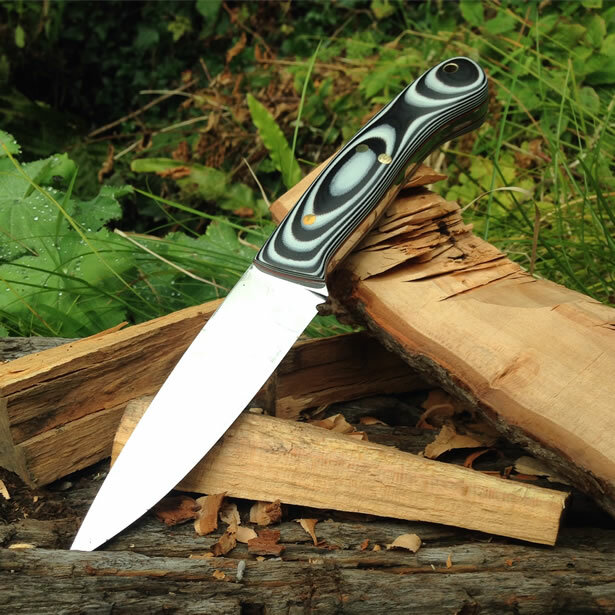 ​All knives are made from RWL34, but 01 and D2 carbon tool steel options are available. RWL34 is a high-end stainless steel produced by Damasteel that has excellent anti-corrosion properties and it holds a good edge. 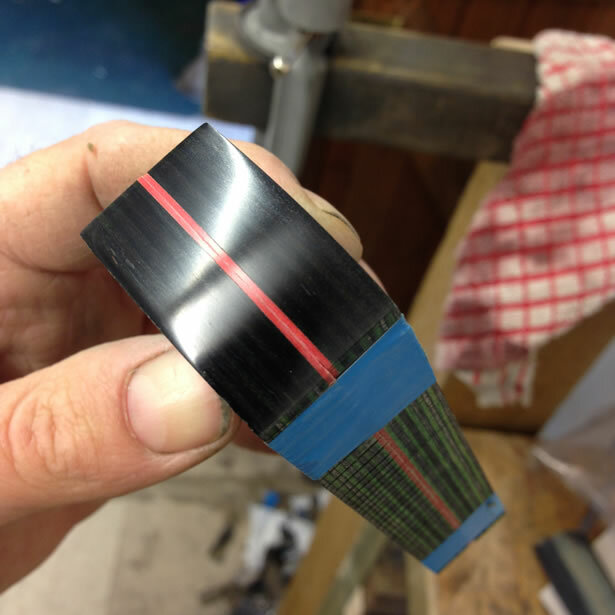 With a new heat treat oven, Adrian has been able to improve his heat treat process tremendously, and with the addition of a rockwell tester, he has been getting some very impressive results between 60-64 HRC. 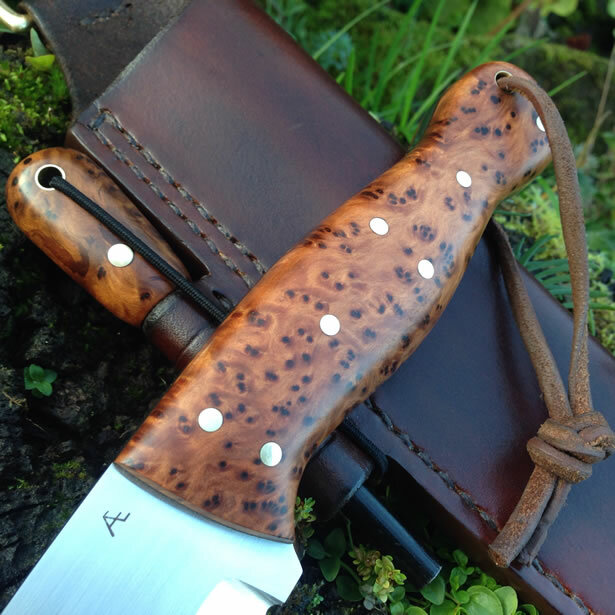 He is currently working on a new 5.2mm bushcraft knife made from RWL34 that is about the size of a bushlore that he hopes will be able to compete in this area. All handles are made from exotic woods and hardwoods that have been treated with Turntex Resin or vacuum treated with oil. Micarta and G10 scales are also available. 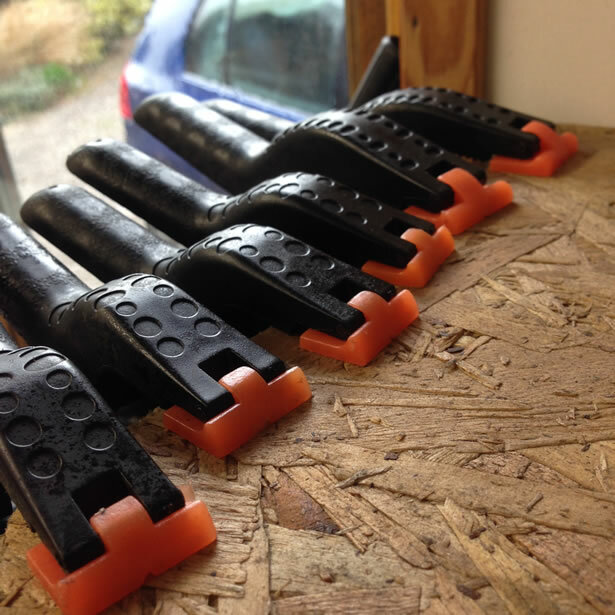 Each handle is shaped to fit comfortably in the hand for a comfortable grip. 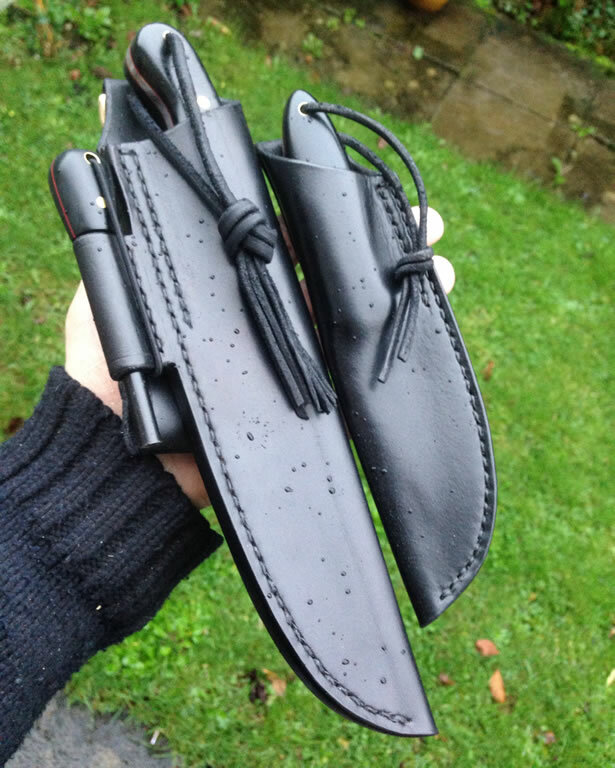 Each knife also comes with a quality hand-stitched leather sheath, and decorated with solid brass D-rings, snaps and other fittings. 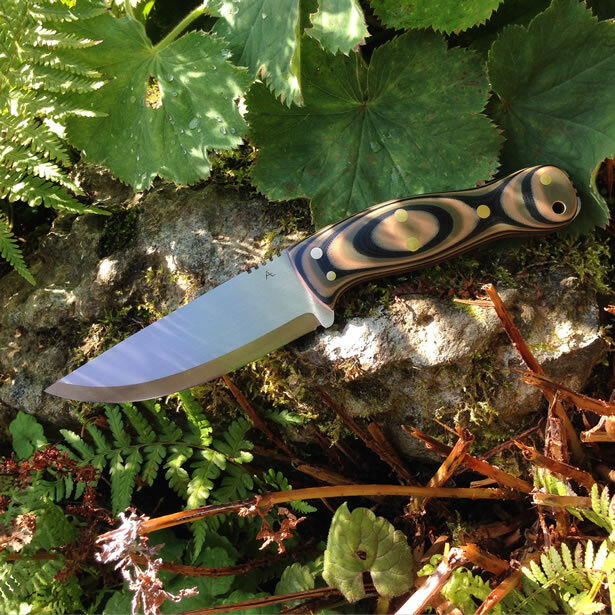 Be sure to check out Adrian’s website [chyroseknives.org] and contact him for more details regarding his knife designs, or if you want to commission a custom one of your own design. 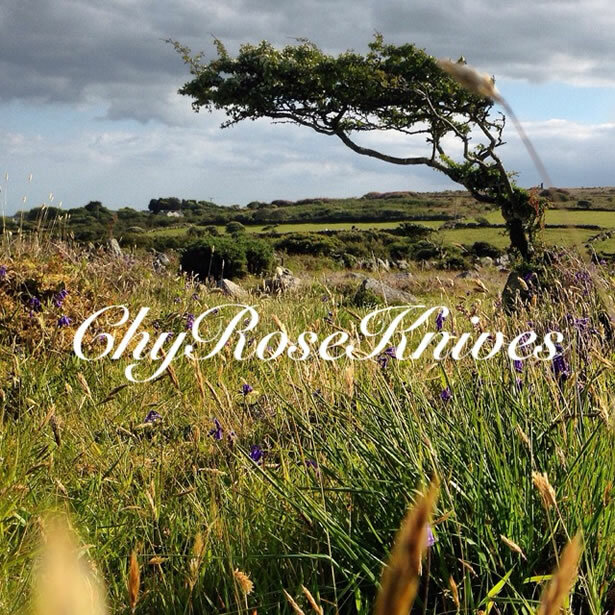 You can also drop by his Facebook Page @ ChyRoseknives. 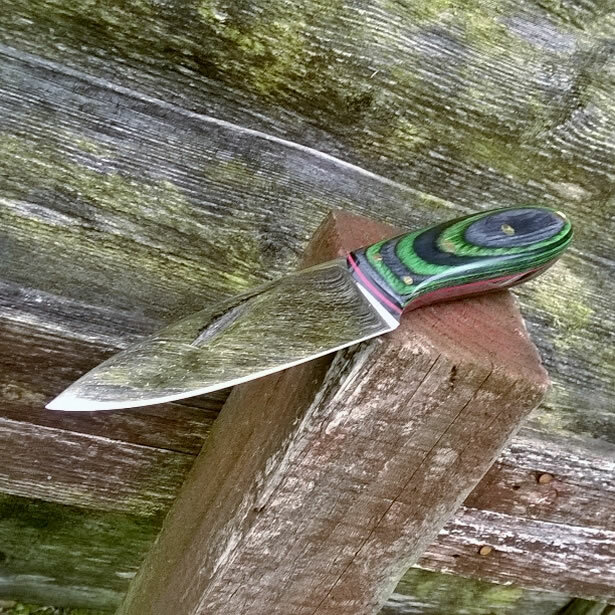 Sometimes his work can also be found on Facebook knifemaking groups so be sure to look for him. 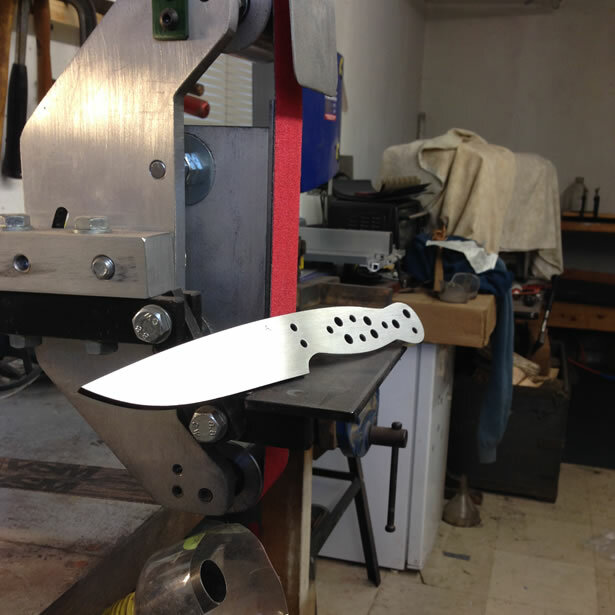 What does ChyRoseKnives stand for? 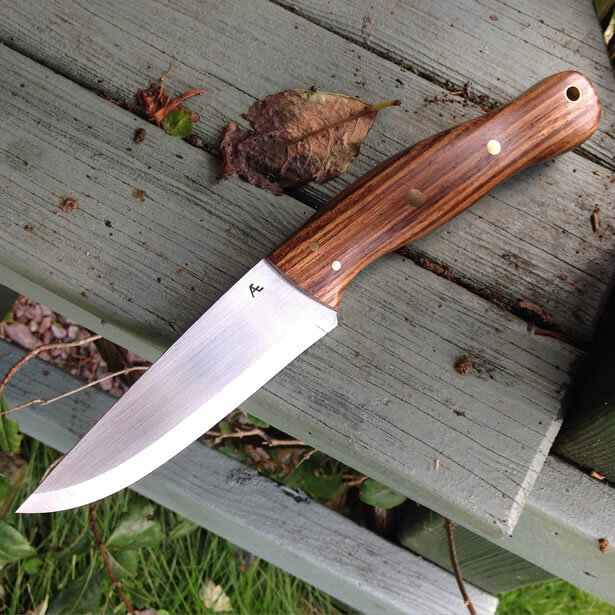 ChyRoseKnives is named after the place where I grew up. As a youngster I spent much of my time hunting rabbits and camping with my friends at ChyRose Farm just a short walk from my home. The near by Cornish village of Pendeen is best known for its Tin mining history and as an area of outstanding natural beauty. It is a special place to me and the one place that I will always call home. It just seemed appropriate to go under the name ChyRoseKnives. Is ChyRoseKnives a full or part time gig? 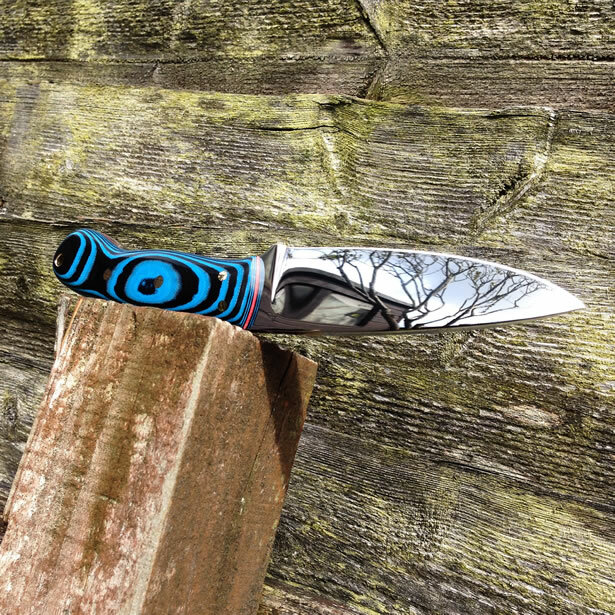 I recently left my job of 19 years to spend more time on my knife making. 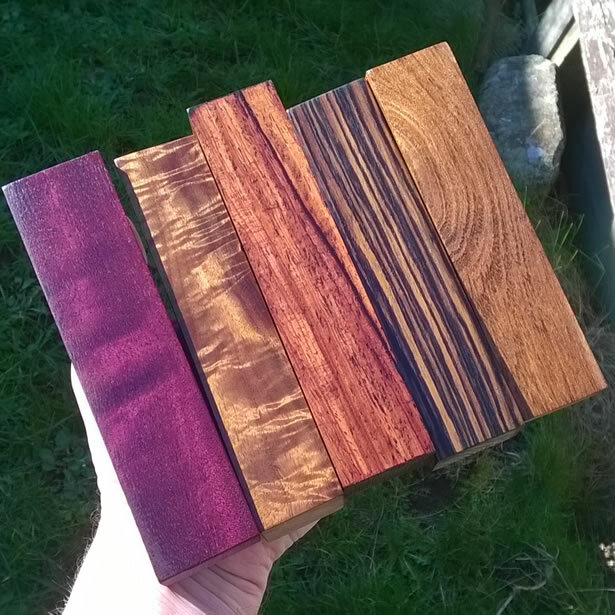 Selling the knives allows me to pay for the materials and keep working and improving my skills. I hope that in the future I will reach a point where I can scratch a living, but until I become more well known for my work, it is just a hobby that I am passionate about. 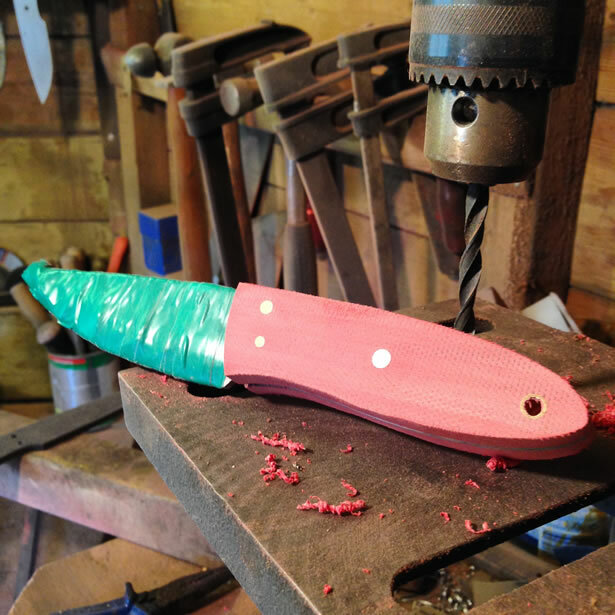 What led you to start making custom knives and scales? I’ve been using outdoor knives from a very early age. 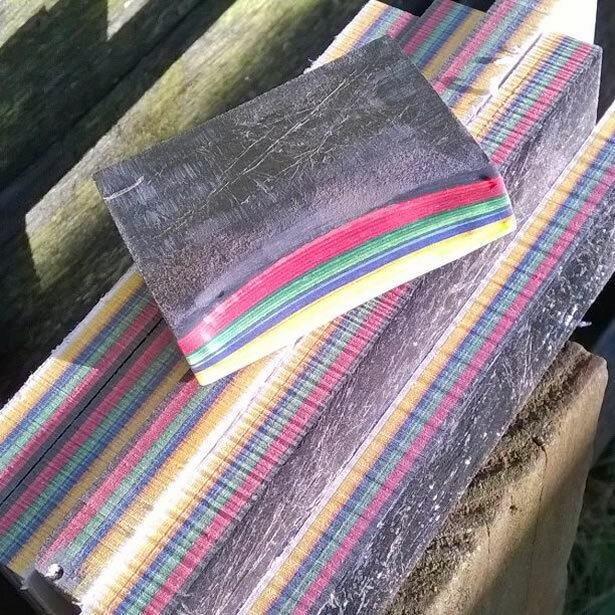 A few years back I took an interest in learning about making knives on the net. A good friend of mine was so sick of me talking about it that he gave me the cash to make him one. I purchased a tiny grinder and a piece of steel, and I got to work. I haven’t stopped since. It has been a little over three years now. I’ve always been very creative, but after leaving Art School in 1994 I had a long period where I had to hold down a job and be a dad. Just before I started making knives, I made a dozen or more stone carvings out of Cornish Serpentine. But that soon gave way to the knife making which now takes up all of my time. I’m not making anything else at present. I am self taught… I gained a lot of knowledge from watching videos on Youtube and searching forums for snippets of information when I couldn’t figure out what I needed to know. However, much of what I’ve learned so far has been through trial and error. What are your favorite knives and knife styles? 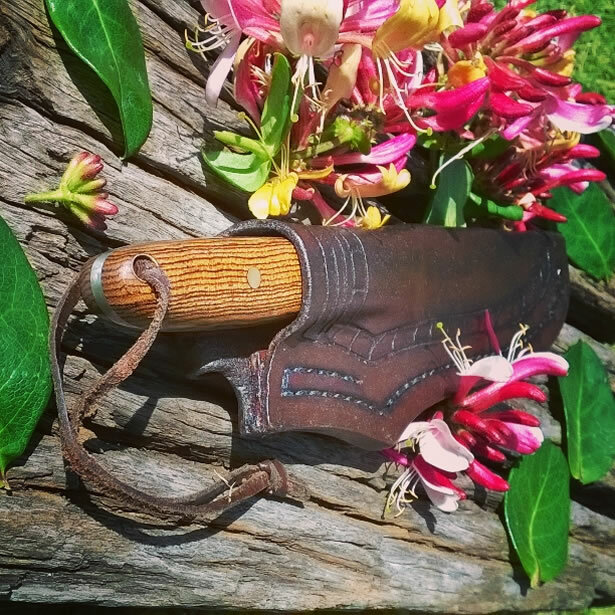 My favorite knife styles are bushcraft type blades of all different shapes and sizes. I also like tactical knives that have a Military influence. 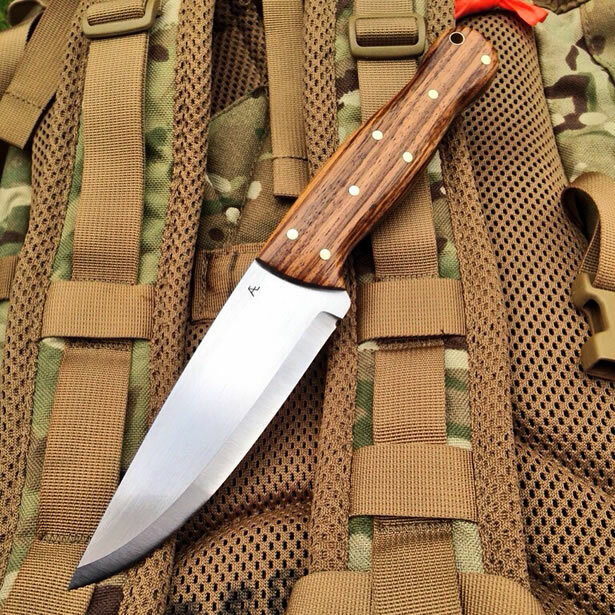 Here in the UK it is forbidden to carry a fixed blade and a folding knife has to have a blade less than 3 inches. When I’m out on private land hunting I carry a 5-inch blade with a lean convex edge, but for day to day carry I have a Leatherman Juice. 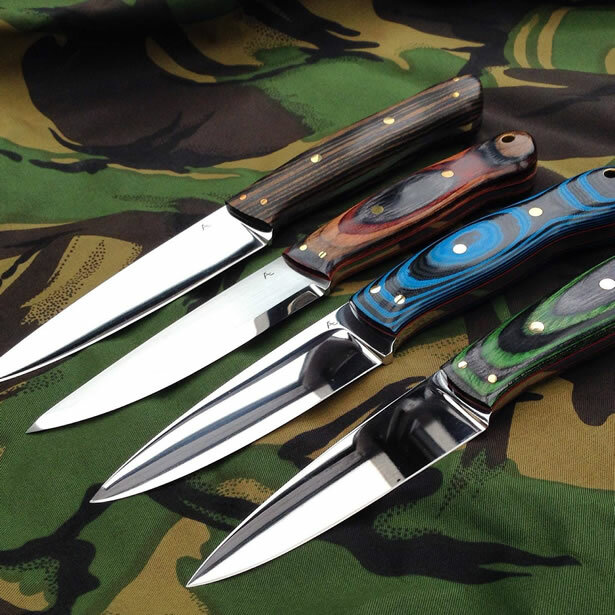 I attended the UK knife show for the first time in the summer of 2015. 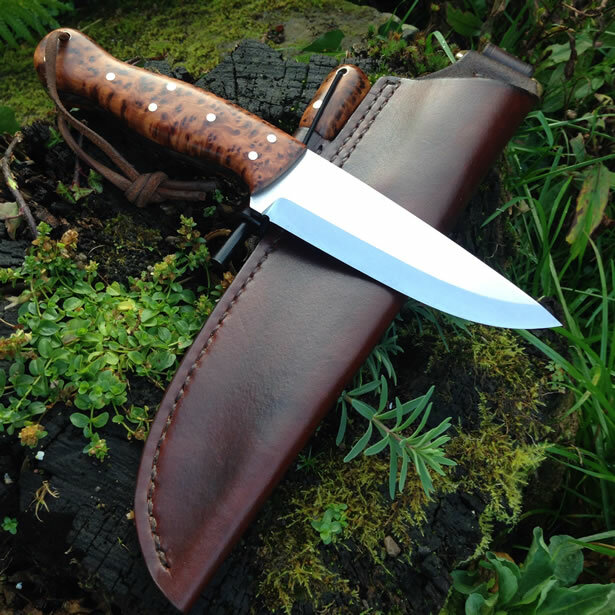 I hope attend the UK Bushcraft show and the UK knife show in 2016. 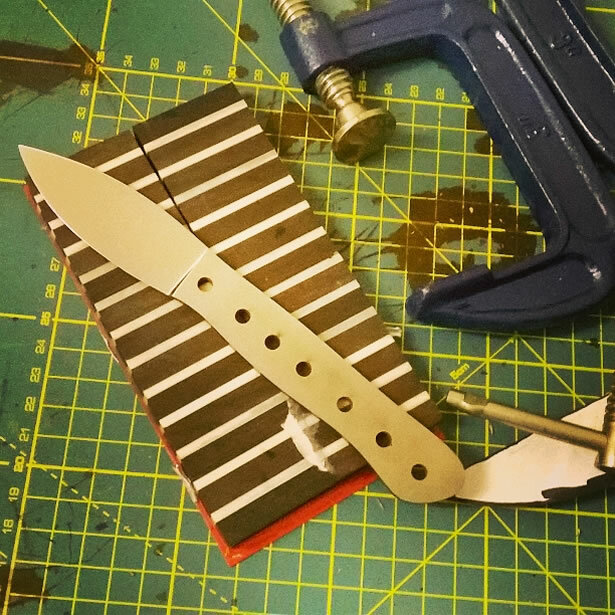 How long does it take on average to make one of your knives? The average time spent on a knife is about 20 hours over a seven to ten day period. 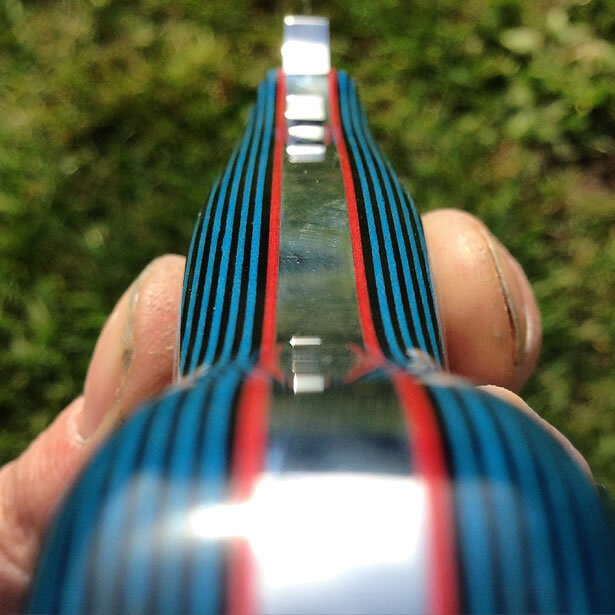 Some of my polished blades can take as long as 40 hours as I work the finish to a mirror polish by hand. 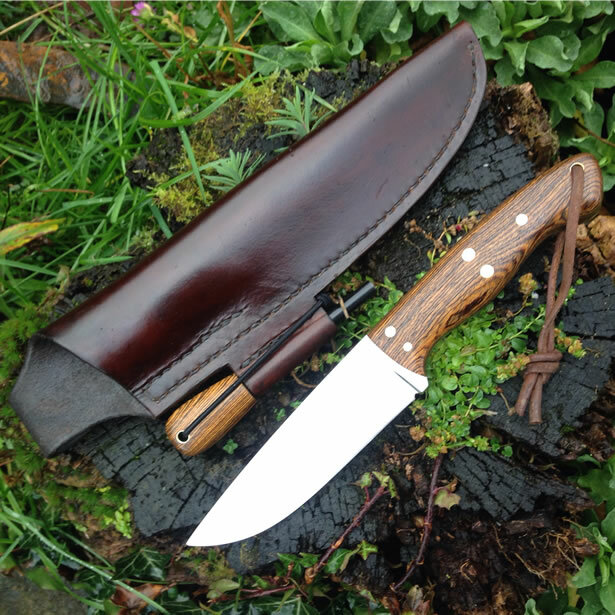 My favorite custom build to was a knife that I recently made for a chap named Jim. 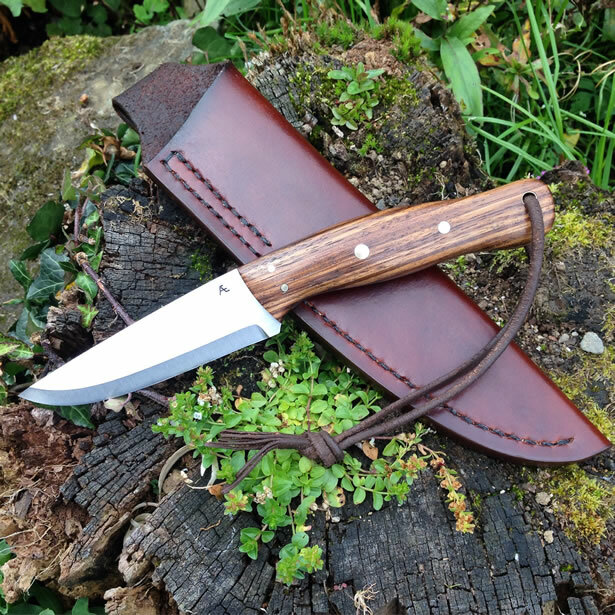 I sent him a blade as a gift a while back and recently he asked me to build him a Moorlander. On this build, I had my supplier hand pick a piece of Thuya Burl for the scales and I made a matching fire steel and dangler. It was a very rewarding build for me because Jim has shown me so much encouragement and support every step of the way on on social media. I am currently working on an order for a matching pair. 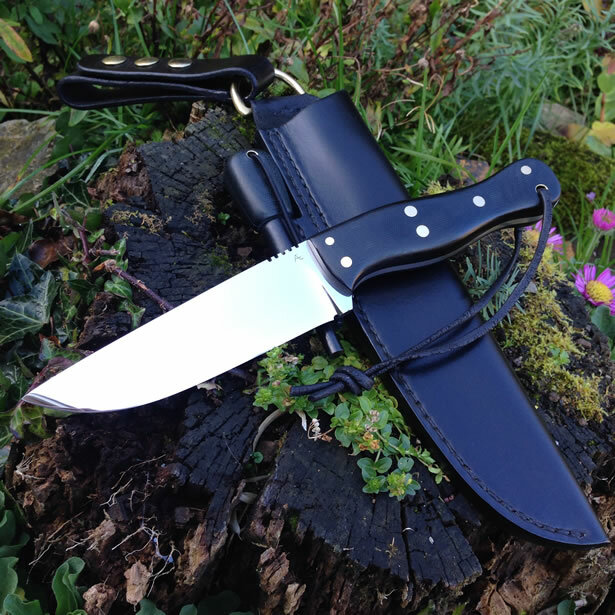 A CRK Bushcraft knife and a Mini Skinner. 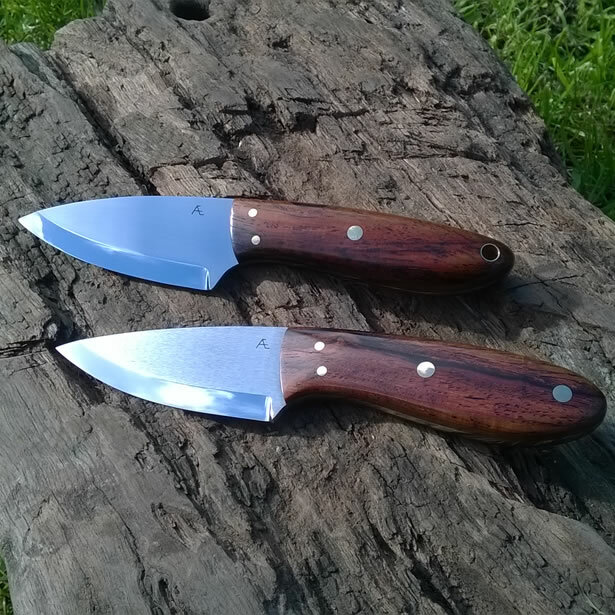 Both are in RWL34 with black micarta scales and red G10 liners. 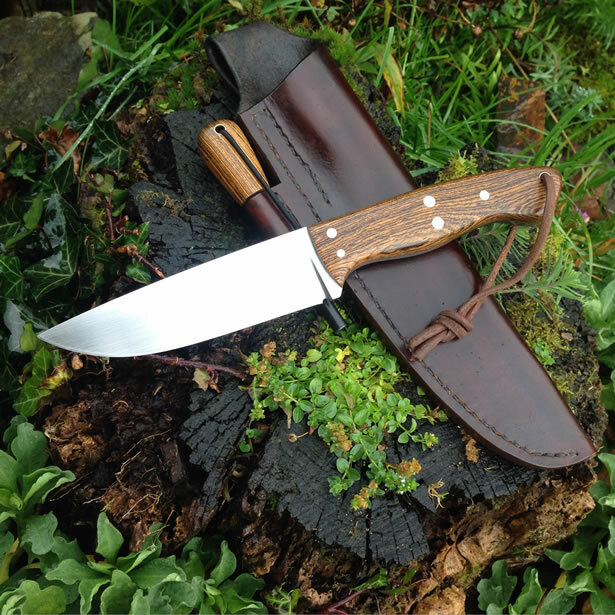 The Bushcraft knife will have a right side belt carry and the skinner a left side carry. 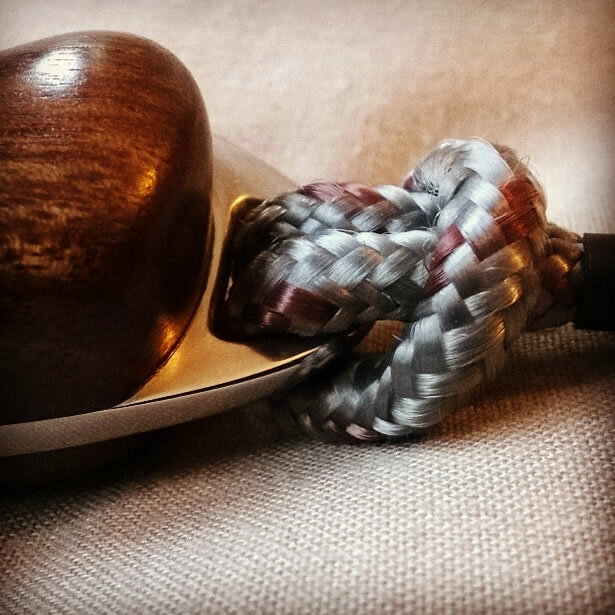 A few months back I set up a website [chyroseknives.org]. 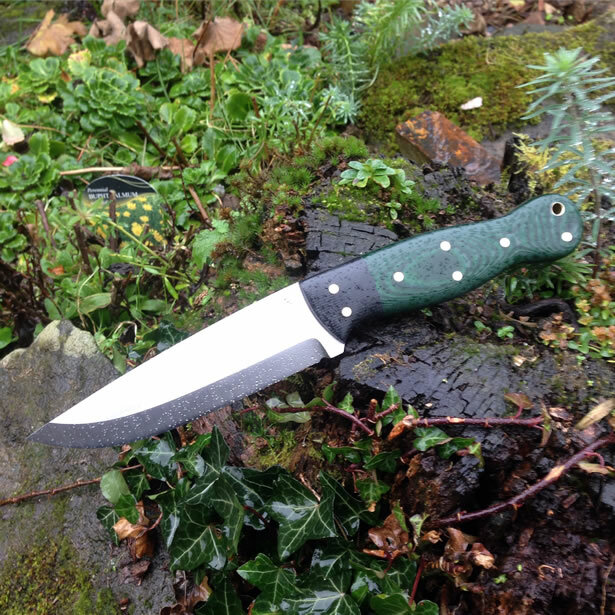 The most popular knife so far has been the Moorlander from 5.2mm stock with micarta scales. 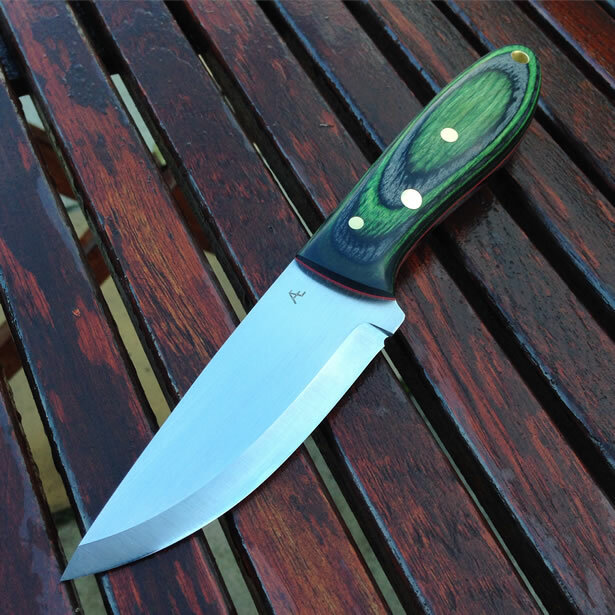 It is a hefty knife with a 5.125″ blade and a Scandi grind. I also do a sabre grind if requested. All my knives start off as a hand drawn template. Once I have a design that has the lines I’m looking for and is well proportioned I go straight into the build. 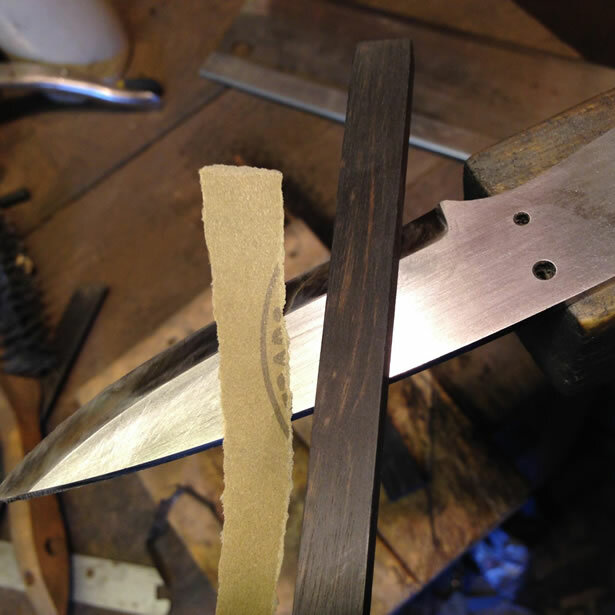 If I’m happy with the finished knife I cut out a master template from an old hand saw blade. 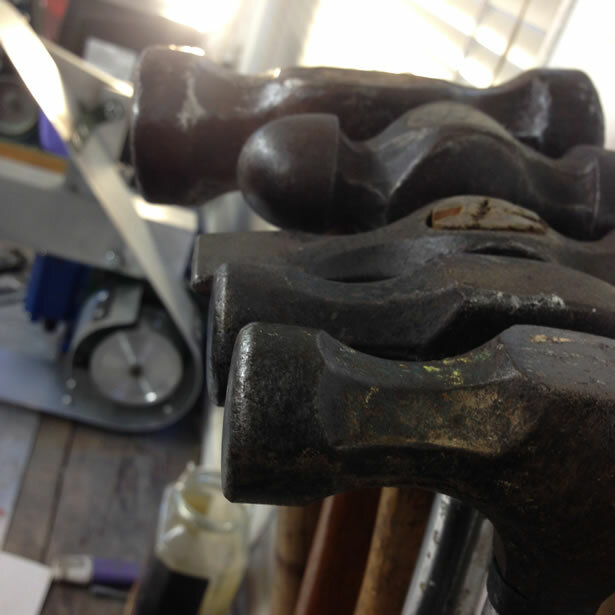 The profile of each design determines how I shape the handle. I’m mainly concerned with functional design and and ergonomics in this process. My favorite steel is RWL-34 from Uddeholm, Sweden. It grinds real nice and holds an edge very well. Its also very durable in the early 60s HRC if tempered properly. 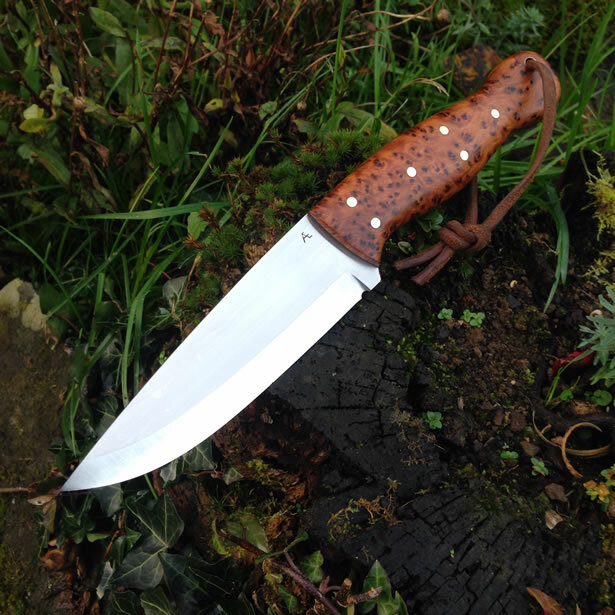 Another Steel I like to use is Carbon Steel “UHB20C” a steel from Udderholm, Sweden. 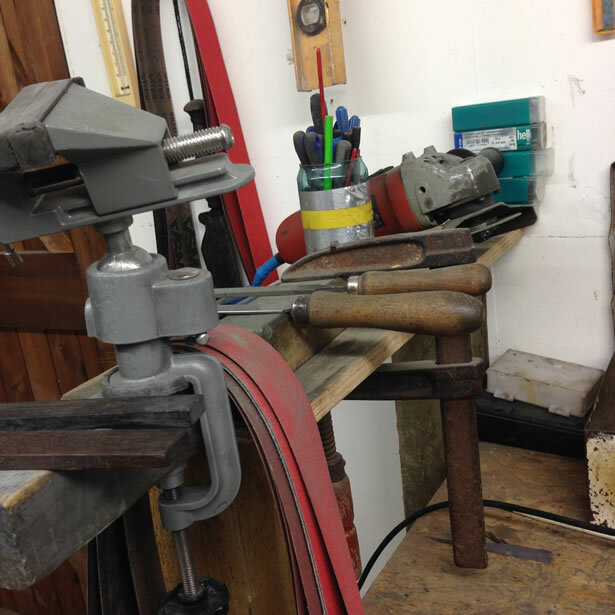 It is a bit like 1095 and is excellent for hand forging. Do you forge, stock remove or both? I mainly use stock removal, but occasionally I do forge blades. 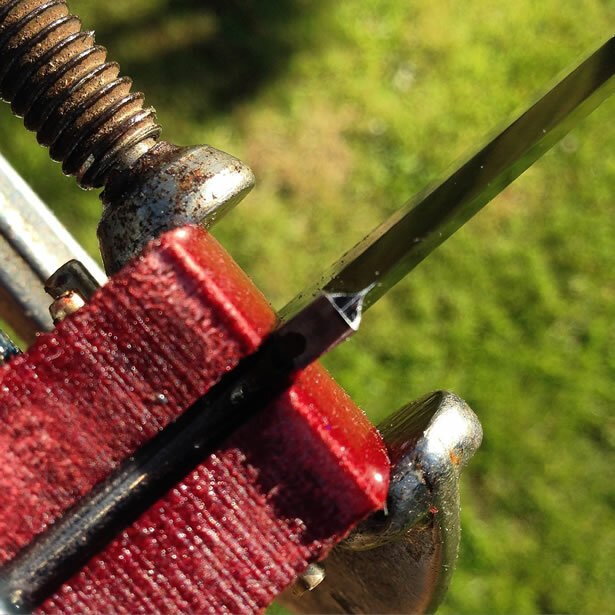 Do you do your own heat treating? All my heat treating is done in house. 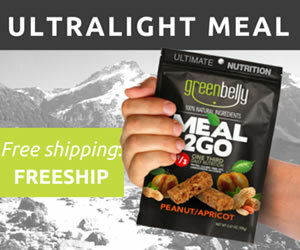 I use an Evenheat RM22.5 and a Rockwell tester. This allows me to keep track of the hardness during the heat treat process. Which are your favorite handle materials and why? My favorite handle material is wood. I spend a lot of time working through various grits that bring out the grain. It is a very rewarding process. 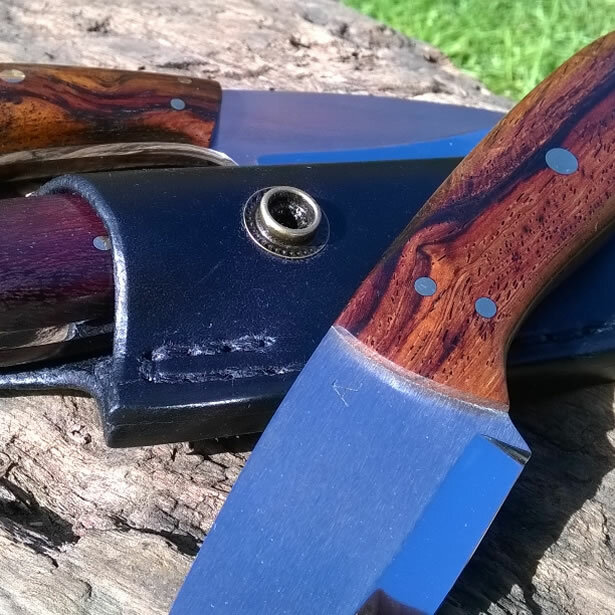 A good piece of wood can bring a knife to life. 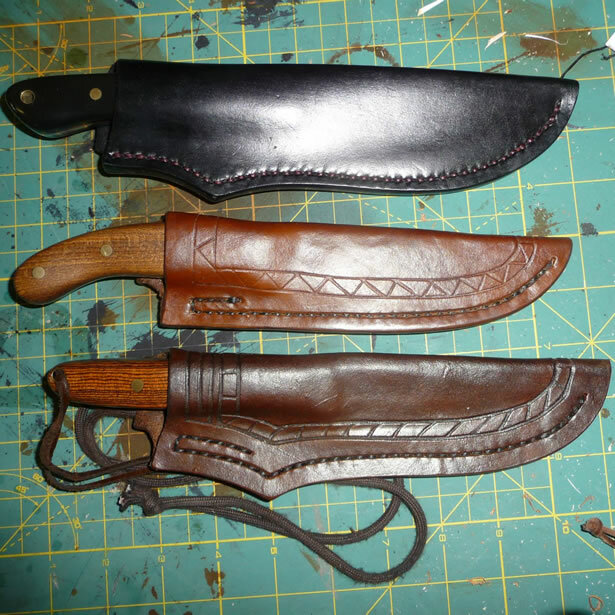 Do you make your own sheaths? 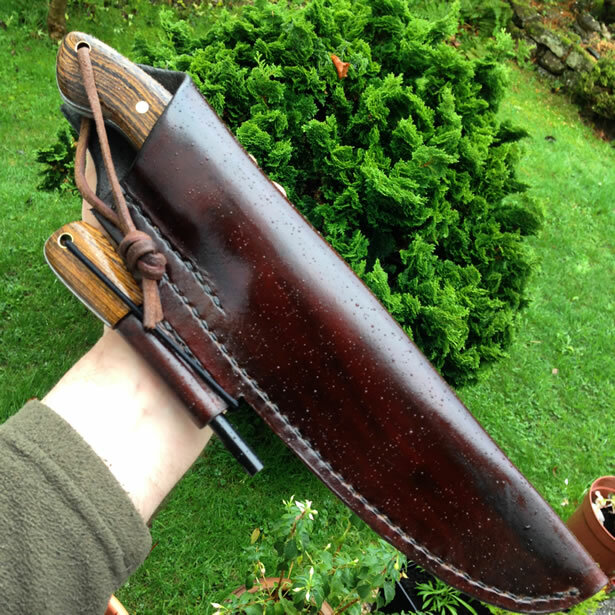 I make the sheaths myself from 3-3.5 mm leather. 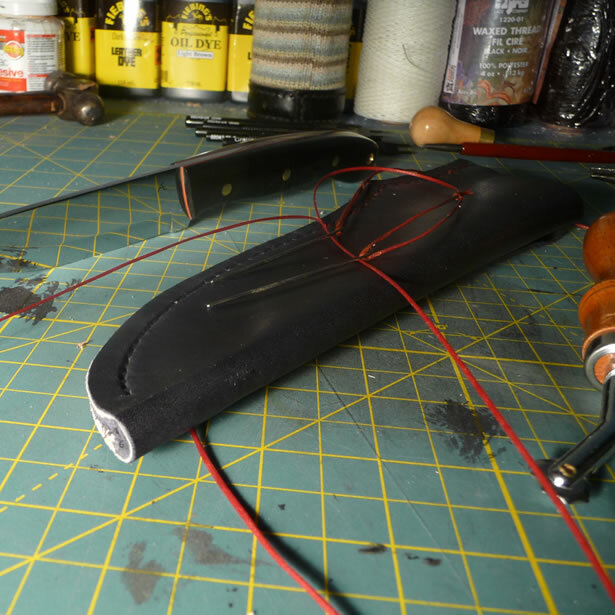 I start with a template adjusting it to fit each knife individually. Handle dimensions may vary considerably depending on each request. One of the things I like most about knife making is seeing a design come to life for the first time. 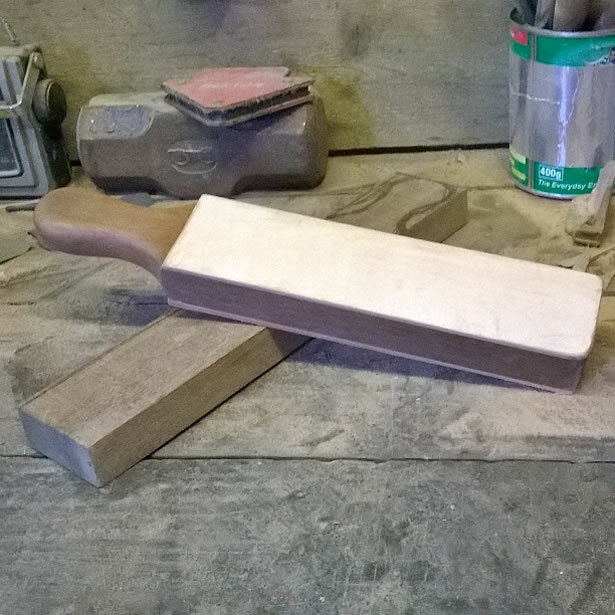 It is a good feeling when you unwrap the blade and see it completed for the first time. One of the downsides for me is all the dust generated from shaping a handle and grinding blades. 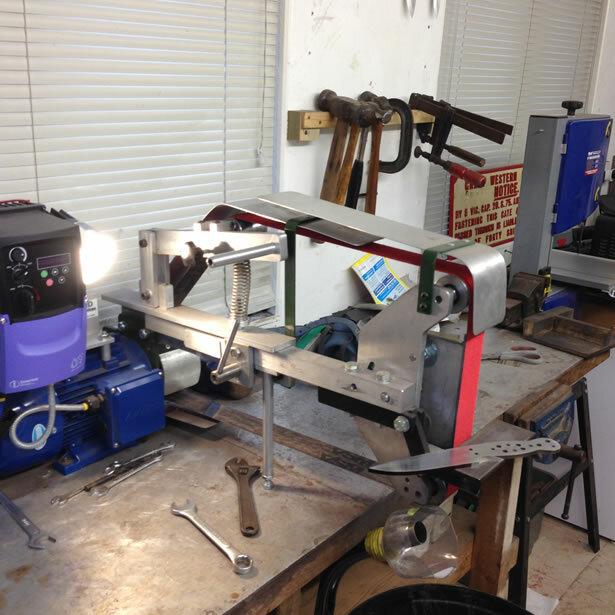 The machine that I use the most is a 2×72″ belt grinder with a 2hp motor made by a company out of West Berkshire, UK called Downland Engineering Services. 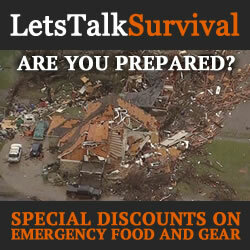 What tools do you use most? 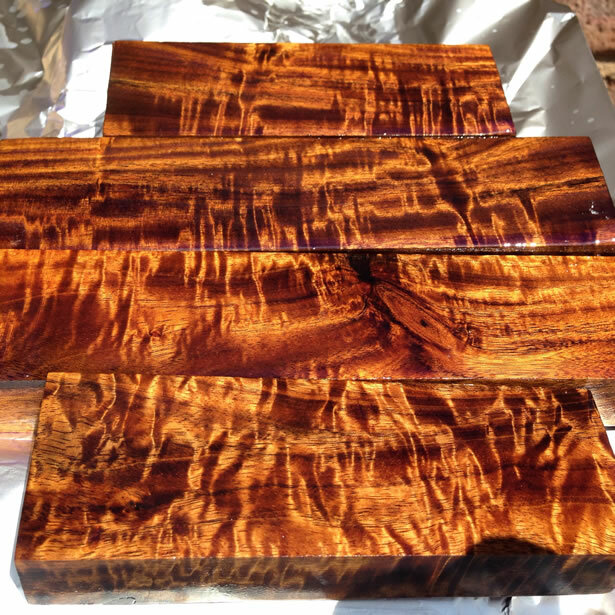 The tool I use most is a piece of Indian Rosewood. I keep it perfectly flat and then use it to do all my flats by hand, before and after heat treat. Who are your favorite knifemakers and bladesmiths? My favorite knife maker is Hatcher Knives. I’ve learned a lot from knifemakers and knife users who post videos on Youtube. Mainly Sandy from Jacklore knives. 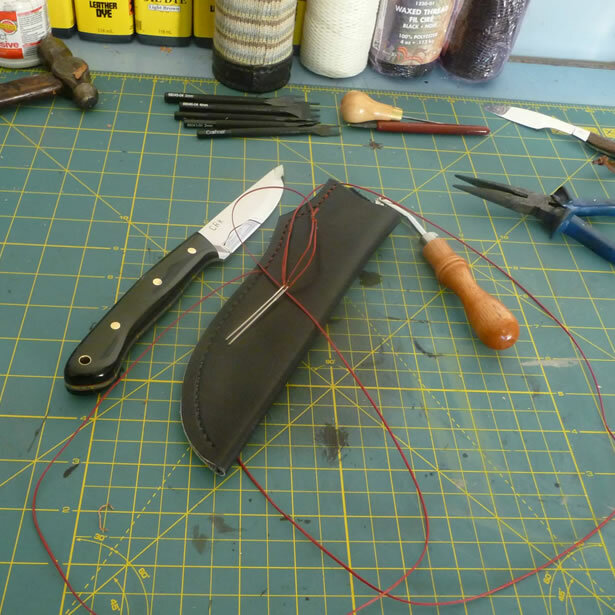 Sandy’s videos showed me how to make knives on a shoestring budget. 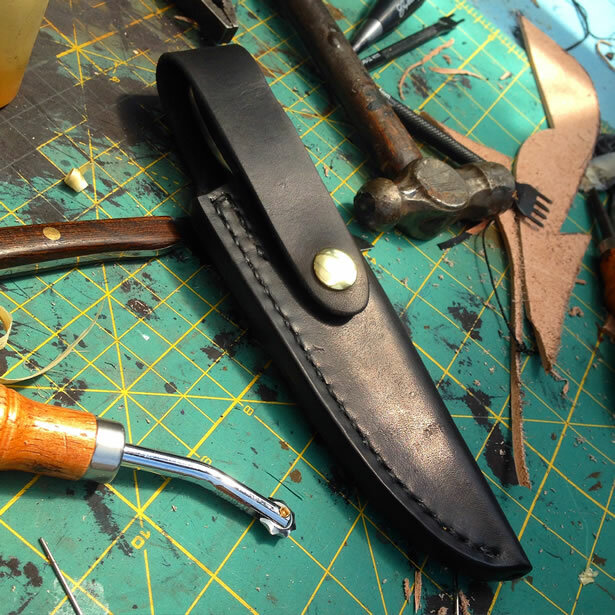 It seems like every knife maker is working on some new skill, what are you working on that is new, or you are just working on getting better at it? 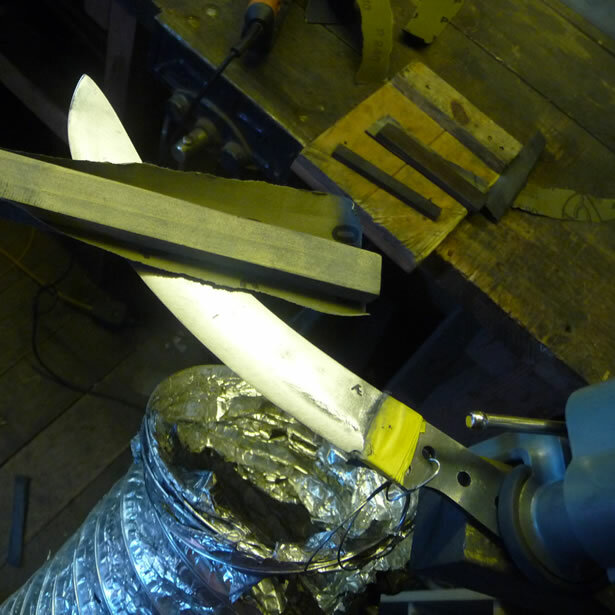 Trial and error plays a big part in making knives. After doing something many times you improve but it is easy to get stuck within a comfort zone. I am currently playing around with jointed bolsters as it was requested on an order. If I had to give a beginner some advice, I would tell them to use inexpensive materials to start with, and be prepared to make mistakes. Do not to believe everything you hear and see on the net related to knife making. Draw your conclusion from as many sources as possible and sticking with what works for you. Thank you very much for spending some time with us… We really appreciate you taking time out of your day. Keep up the good work. Can’t wait to see what comes next.